A well respected member of the ruling New Patriotic Party (NPP) has denigrated the somewhat already suffering movie industry in Ghana. 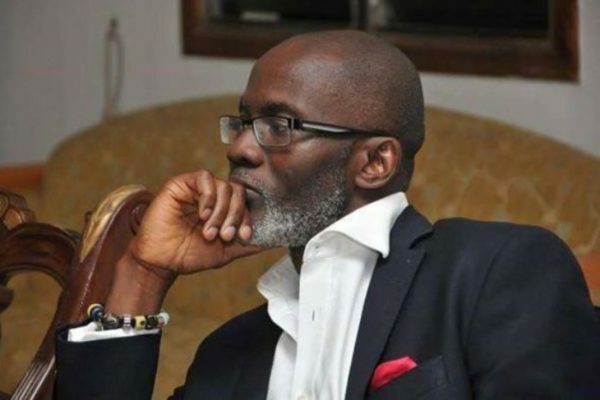 He has expressed his disappointment with some Ghanaian movies he watched recently. “I took my time to watch randomly ten Ghanaian movies and never felt so disappointed. It brought home to me one major deficiency in our development. The apparent lack of deliberate consciousness on the part of the creative industry in the development conversation. The presence of the creative industry appears at best peripheral in Ghana’s development narrative. Our movies, our songs, our arts, by and large, do not impactfully plug into a greater development agenda. Hollywood, for the best part of a century, has been deliberately used by America to push successfully American cultural “supremacy” agenda; it has been used as an effective instrument of military or economic indoctrination. But, what has been the underlying consciousness behind our creative industry, if any? What role, for instance, can actors in the creative industry play to define and realize this whole important concept of moving Ghana Beyond Aid? We must elevate consciousness in Ghana if we are serious about winning”. 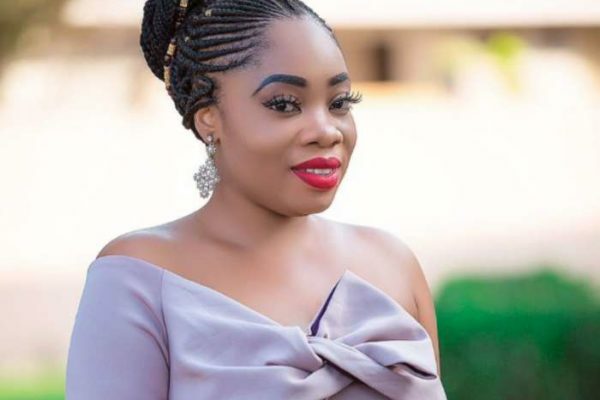 Actress and model, Moesha Buduong said she is in love again after she broke up with the married man she was dating. Moesha disclosed that she met her boyfriend who is a British on social media platform- Snapchat. According to the socialite, she got into contact with her new lover close to eight months now and has since visited him twice abroad. 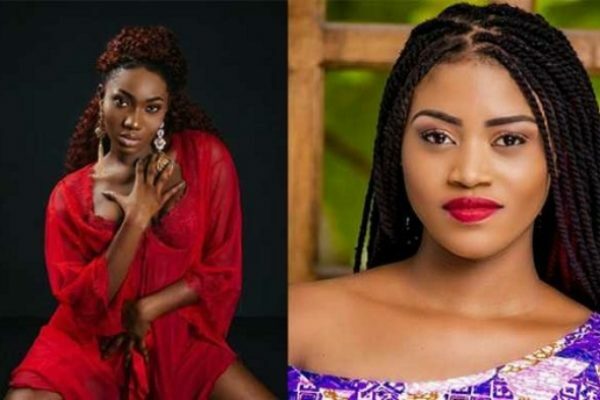 Speaking to KOD on the Zone on Starr FM Thursday, the controversial actress said she is not ready to get married anytime soon, contrary to the high wish and prayer of many Ghanaian ladies her age. “We are just getting to know each other, am not ready to get married now. I’m not just ready for the whole marriage thing now.” When asked whether she will want to have children in the near future, she answered in the affirmative. Moesha who had publicly stated she was dating a married man, said she did it out of ignorance and economic hardship but has since broken up with the man. “I’m no longer in that relationship. He is a married man and I guess he wasn’t mine after all” she said. 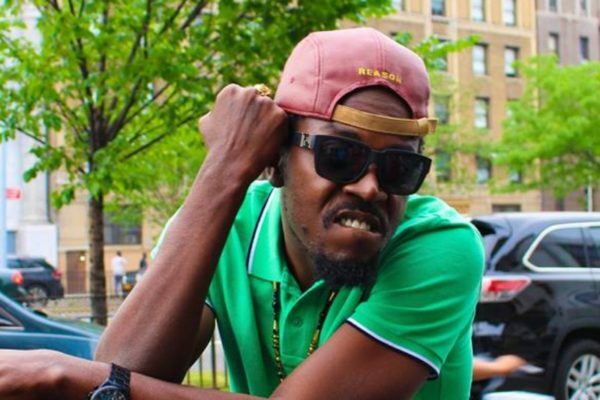 Rapper Kwaw Kese has revealed that he was not happy that the prime suspect in the murder of his former manager was left off the hook. He believes strongly that failure of the police to do their work saw Bulldog, walk a free man. He was arrested in connection with the murder of Fennec Okyere. “It was in the news when they discharged Bulldog who was the prime prospect. They said nobody was coming again. Even the prosecutors were not going to court. I believe our security system is very weak,” a very disappointed Kwaw Kese told Lexis Bill in an interview on Behind the Fame on Drive Time on Joy FM Monday. According to him, “If you are [going to] discharge somebody you have to come out” and organize a press conference to inform the public just as they did when Bulldog was arrested. Bulldog, who the Police Criminal Investigative Department (CID) picked up on Thursday, April 10, 2014, as the lead suspect in the murder of Fennec, was alleged to have threatened to kill Fennec. An Accra Central District Court in January 2018 set Bulldog free from allegations of murder. “I’m not ok because the police didn’t act right because the first time the thing happened, you did a press [and] the time they released Bulldog there was no press conference. That shows that the police have not done 100% work so they should come back again that is why we are not happy,” he added. Kwaw Kese revealed that he went through depression after Fennec died. The management of Okay FM has launched a month-long programme to mark its eight years of providing broadcasting service to Ghanaians. The month-long celebration is expected to attract a large number of radio listeners, friends of the station, musicians and other important personalities, including politicians. According to management, the celebration is in recognition of the valuable contributions it has made, championing societal transformation and giving voice to majority of the people “making it a choice station for the public”. Some of the activities lined up include donations to some selected needy institutions, live musical shows at some selected shopping malls in Accra to entertain its listeners, among others. From a humble beginning, Okay FM which operates from the Ship House located at the Abeka Junction, has carved a niche for itself as a reputable radio station. The station has positioned itself to grow businesses and help clients to reach their target groups. In an interview with Abeiku Santana, host of Ekwanso Dwodwo on Okay FM and also the programmes manager, he recounted the journey of Okay FM to its current graceful success, but said it has not been an easy journey. He added that eight years in the life of any institution is worth celebrating and Okay FM‘s own has been a magnificent milestone. According to him, the station is successful because of its highly dedicated staff, passionate listeners and committed advertisers. He mentioned that the station has grown within the past eight years with some of its programmes, including its morning show, Ade Akye Abia, becoming the industry benchmark. 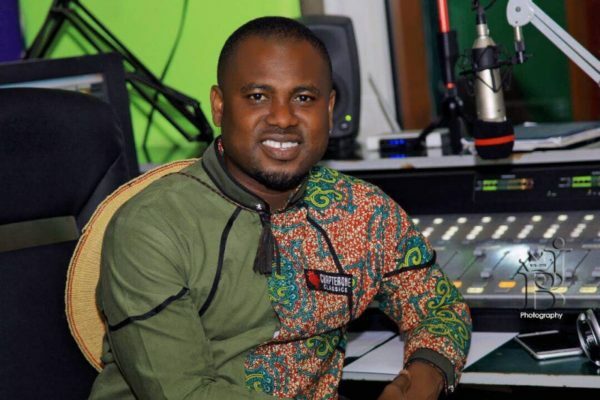 “The station has climbed the media ladder of success, becoming one of the most listened-to stations in Ghana currently,” Abeiku Santana added. He further disclosed that the station’s loyal listeners will be rewarded with various packages, including products from sponsors. Actress Fella Makafui has shared her secret to success with the world. The actress who seems to be the only one from the youth series, YOLO to have made it big businesswise made this disclosure while speaking at an event. She indicated that there is the need for people to have faith and believe that God can do more than they can think of. Fella Makafui said her secret in life has been prayer. She said “I will share a secret with you. I wake up at night to pray. I strip naked and read some bible verses and pray to ask God for all the things I need and that has kept me going”. 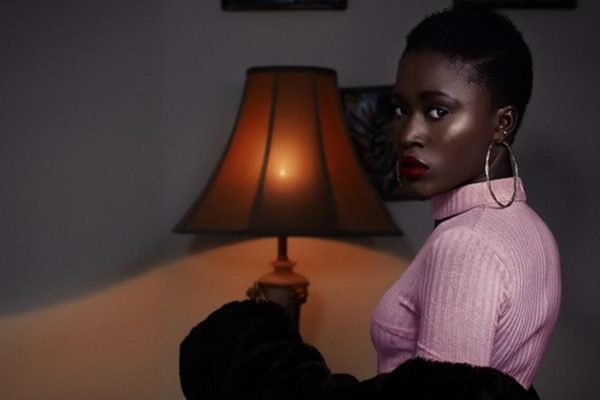 Fella Makafui owns several businesses and is an ambassador for several brands in Ghana. If you could recall, news went viral that Fella’s wine shop in East Legon has been closed down by her angry boyfriend. According to the reports, Fella Makafui’s attitude towards the sugar Daddy who splashes money on her has changed. 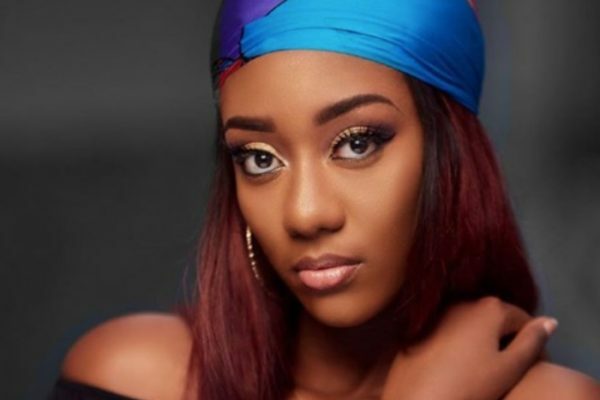 The man has accused her of sleeping with Ghanaian rapper, Medikal. 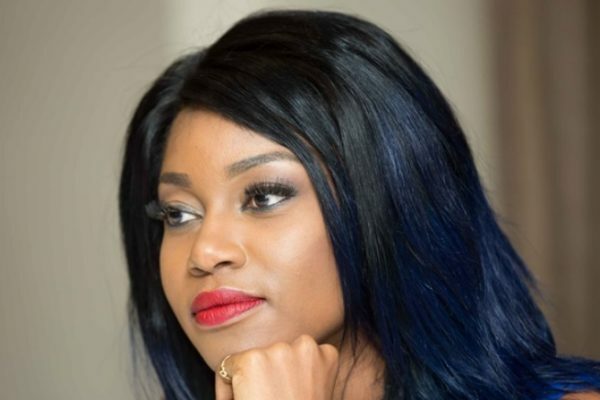 The ‘Yolo’ actress denied all the numerous rumours flying on social media and stated that she’s relocating due to rent issues. “I don’t live for accolades; I live for the impact of my work with young people. However, I have been acknowledged as the favourite TV and radio presenter on a number of occasions. “I have also had some nominations for awards in the movie industry too. My focus is on the impact of my work and building society,” she told Showbiz recently. Regina added, “I don’t think being a household name is the ultimate benchmark that one has arrived in this industry. The quality of engagements and how one is perceived in the industry is crucial. Instead of brooding over the lack of accolades or recognition like some nigh do, Regina is channelling her energies into projects that will fix the broken trust in our society. “I am passionate about fixing the broken trust in our society across varied areas of engagements, be it the place of women, the place of marginalised groups, youth empowerment, amongs others. “Due to this, I have a foundation that has commenced a #StopJungleJustice project which is aimed at repairing the broken trust in the judiciary and processes of adjudicating conflicts which has led to people usurping the powers of state, taking matters into their own hands,” she said. On what she thinks can be done to make the entertainment industry better, Regina said, “Well I am not particularly sure that I want to single handedly change anything. It’s an industry that is evolving and has its own dynamics. One area she sees a lot of improvement is the number of women who are taking up roles in the industry. “Women today are playing varied roles in the media in Ghana, from shaping lifestyles of this and subsequent generations through to developments in the creative arts space. Regina Van Helvert was first runner-up at Miss Malaika 2012. She is currently the co-host of GHOne’s Rhythmz and also an actress. She is a graduate of the Ghana Telecom University College where she earned a Degree in Business Administration (Marketing). Ghanaian actress, Yvonne Nelson, narrowly escaped death when the landing gears of a Delta Flight she was travelling in caught fire in New York . All 2005 passengers were evacuated from the plane that was headed for Ghana. Ghanaian Rapper, Nana Yaw Maradonna otherwise known as Guru has unveiled the tracklist for his new album Journey of Judah. 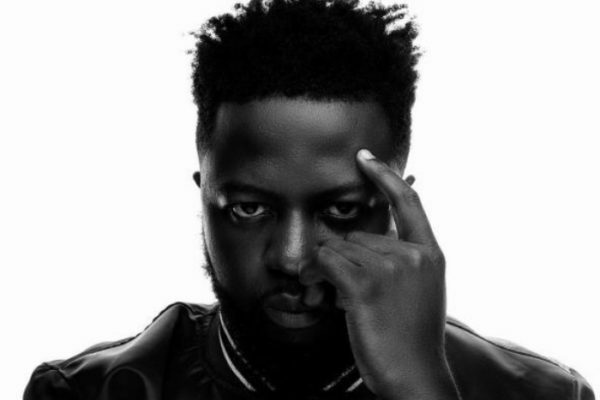 The 34 track album features other renowned artists including Sarkodie, Lil Shaker, Medikal, Harry Songs, record label mate King Paluta, Ofori Amponsah and a few others. With 17 tracks on each side of the tape, disk 1 is full of Afrobeats and Afropop whereas disk 2 takes his fans back to the Guru of early 2007. It houses a complete tape full of hip hop. In November 2016, Guru announced his readiness to release his second album Gold, on the High Streets of Bantama. However, this could not see the light of day due to the passing of the Afia Kobi Serwa Ampem II, the Asantehemaa and mother of His Majesty Otumfuo Osei Tutu II. A press release signed by the chief of staff at the Manhyia Palace indicated a ban had been placed on all funerals, drumming and noise making throughout Asanteman until after the funeral of the Asantehemaa in accordance to the Asante customs. Guru has since been working hence the release of a double album Journey of Judah. Producers on the album include Ball J, Cash 2, Peweezle, Lil Shaker, Tubhani and many others. Journey of Judah was released on September 29, 2018. Just as has been the practice of most celebrities the world over to venture into other fields, Ghanaian musician Okyeame Kwame has got a clothing line now. In the photo, they are clad in pyjamas made of African print. When asked the motive behind the choice of pyjamas as costume for the photoshoot, he said it was a new project he was embarking on. Kwame explained that he had created a pyjamas line called ‘OK Impressions’ designed with an African touch as part his bid to promote Ghanaian culture and tourism through the arts. ‘OK Impressions’ is in tandem with Okyeame’s ‘Made In Ghana’ project which also comes with a 10 track-album that features 10 artistes from the ten regions of the country. There are variants of the pyjamas line to suit varied tastes of different people. This is not the first time Okyeame Kwame is communicating his artistry through fashion. He has over the years won spurs for his exquisite sense of fashion. Having won several fashion awards and gained nominations in same, he has been described by many as one of the best-styled artistes in Ghana. Recently, his resplendent outfit to the Glitz Style Awards became a cynosure of all eyes as fashion aficionados and critics kept talking about it. 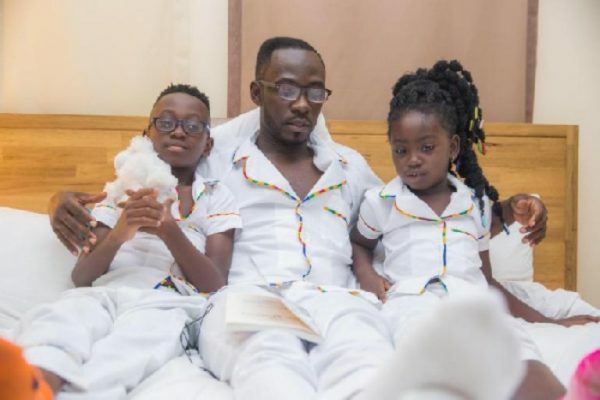 With ‘OK Impressions’ Okyeame Kwame hopes to stamp his identity in the world of fashion – taking after the model of the world great celebrities like Jennifer Lopez, Diddy, Jay-Z among others. Okyeame Kwame is known for hit songs like ‘Sika,’ ‘Woara,’ ‘Faithful,’ ‘Woso’ and others.